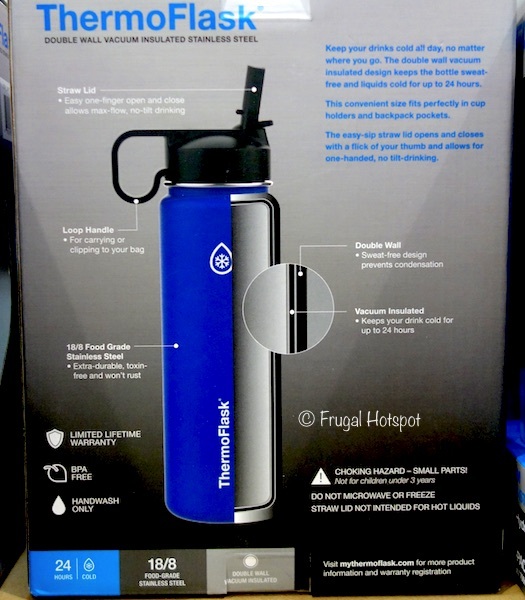 The double wall vacuum insulated design keeps the bottle sweat-free and liquids cold for up to 24 hours. It fits conveniently in most cup holders and backpack pockets. 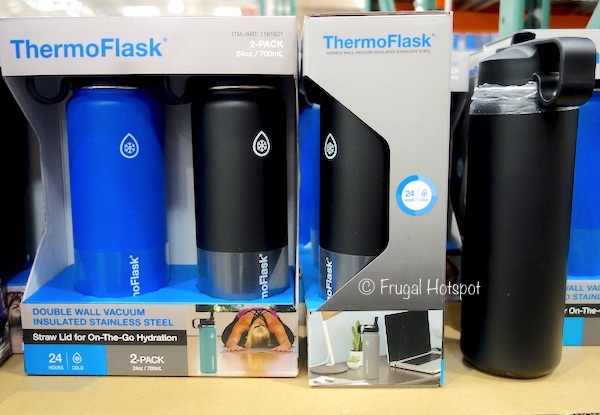 Select Costco locations have the ThermoFlask 24 oz Double Wall Vacuum Insulated Stainless Steel Water Bottle 2-Pack on sale for $15.99 (after instant savings), now through March 19, 2019. That is $4 off Costco’s regular price of $19.99. While supplies last. Item #1161621. The sweat-free design prevents condensation making it great for your commute and the loop handle makes it convenient for carrying or clipping to your bag when you’re hiking, camping, biking, at the gym and more. The 18/8 food grade stainless steel is durable, toxin-free and won’t rust. The straw is built into the lid with an easy one-finger open and close. It’s BPA free and is handwash only. Do NOT microwave or freeze. The straw lid is NOT intended for hot liquids.